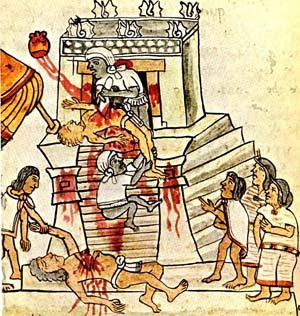 The Mayan's are pretty well known for human sacrifice. As it turns out, most of the artwork we see of human sacrifice, with the removal of the heart, was saved for special ceremonies. Most Maya sacrifice was by decapitation. The blood was a symbol of man’s debt to the gods who had created him; the heart, as the most vital organ, was the most precious food for the lords of creation.